eVideon announces the creation of a committee of industry leaders that will influence the company’s innovation agenda and healthcare technology advancements. GRAND RAPIDS, MI. 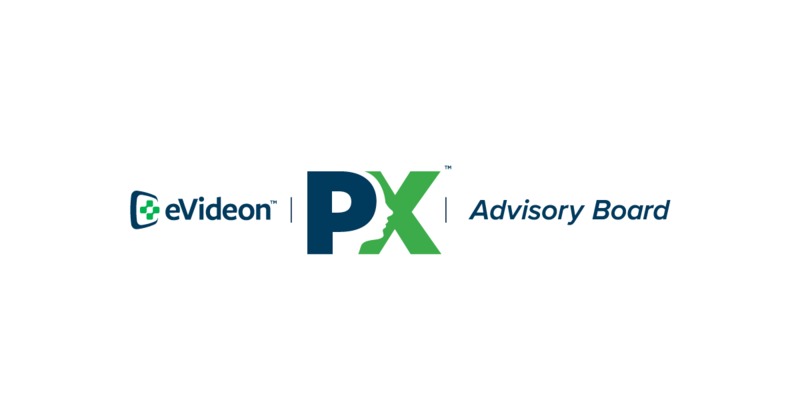 – February 12, 2019 – eVideon, a leader in providing interactive patient experience (PX) technology to healthcare providers, announced today the launch of its new Advisory Board, a strategic committee of executive-level industry thought-leaders who will serve as trusted advisors to eVideon on strategy and product innovation. eVideon welcomes five new members to the board and plans on expanding in the future. The goal is a representational balance of current clients and outside individuals with a variety of experience related to patient engagement, clinical education, and healthcare operations. eVideon’s Chief Technology Officer, Scott King, explains that the Advisory Board will have the full support of management to determine their direction. eVideon’s critical space of Interactive Patient Care. To fulfill our mission to “Transform Patient Experience,” eVideon partners with hospitals and other healthcare providers to provide the latest in interactive Patient Experience (PX) technology and education. With a focus on Partner-Driven Innovation, eVideon designs custom systems that engage, educate and entertain patients and visitors, while simultaneously providing powerful data gathering and analytics tools that enhance, rather than replace, current workflows. eVideon’s PX Platform integrates with a variety of software systems and hospital applications to centralize and deliver interactive patient communications, personalized patient education, real-time surveys, food service and more, through TV's and devices. Check your email, an eVideon representative should be in touch shortly.